So plastic is a big topic right now - everyone and their dog tell you that you shouldn’t buy plastic-wrapped fruits + vegetables, say no to straws and lids for your drinks, bring your own cup and bottle and by all means never throw your plastic garbage into nature or the ocean - you have seen the images of turtles and fish being trapped in some sort of plastic garbage, for sure. But are we outdoor people aware of the plastic garbage we create when we buy new gear? An experiment in gear shopping. I agree with all these motions above for a more sustainable and environmentally friendly/ conscious lifestyle. They’re honestly 10 years too late, but hey, better late than never. I do all of the above, since I can remember (I’m one of these persons which will unwrap vegetables in the grocery store, which doesn’t minimize waste but sends a message to the shops - I imagine or hope). But I and the family, we still create a fair bit of plastic garbage - and some of that also comes from when I buy or get outdoor gear and apparel. Earlier this summer I bought some T-Shirts, and while I was unpacking them something struck me - the amount of plastic garbage these three shirts come in. I decided to document it and share it here, with the hope that these companies and many others realize that it is about time to rethink packaging (there are options to plastic!). 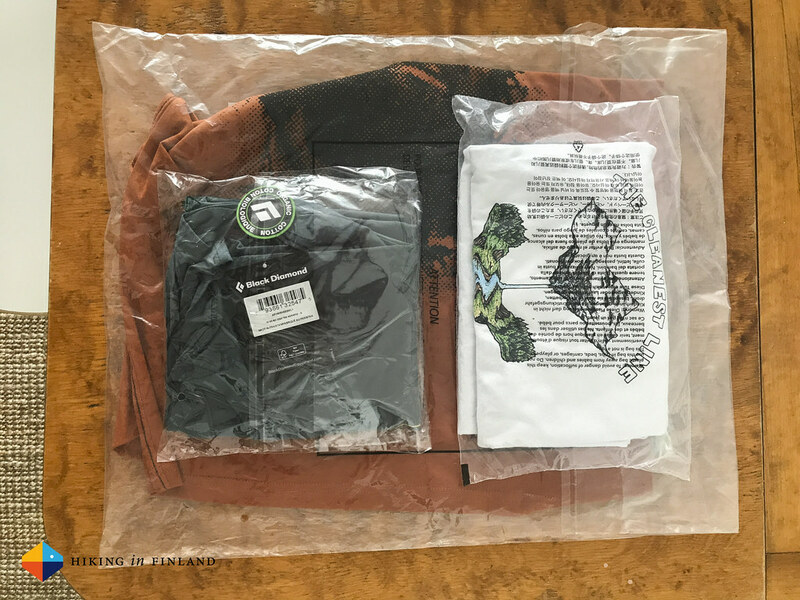 Now the plastic around our shirts, pants, jackets and backpacks are there to protect these items during transport, from wherever they are made to the distribution centres and shops where we consumers buy and order them. They are there for a reason - to protect the gear from moisture, bugs, and whatnot during transport, so we can probably not get rid of them (just yet). But highlighting this problem means some companies realize we consumers are aware of it, care about it, and want change. So that’s why I took the time to write about this issue. So lets get to the garbage a T-Shirt creates. This overview gives you a good idea what the amount of plastic is that a simple T-Shirt comes in. Yes, that Rab shirt comes in a MASSIVE plastic bag. 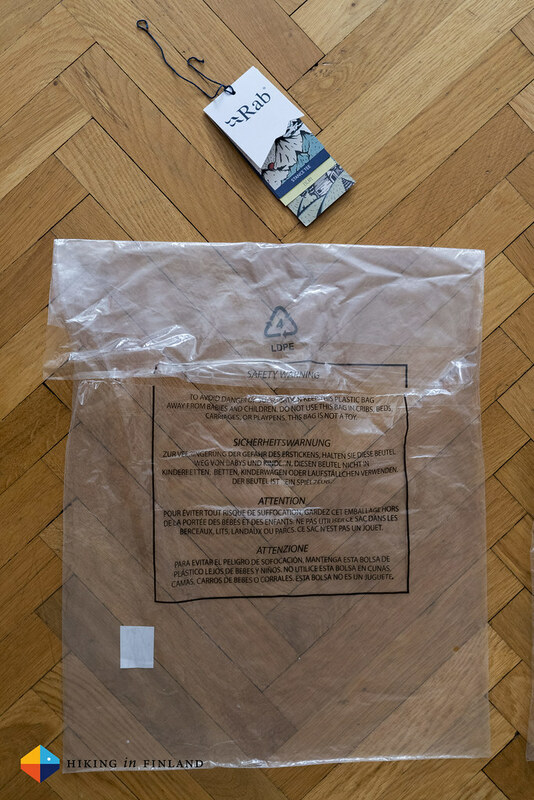 It’s about three times as big as the Black Diamond plastic bag, and about four times as big as the Patagonia plastic bag. Also looking at the hang tags Rab is sadly the one which goes a wee bit over board - there are FIVE (5!) separate paper tags coming with the shirt. At least the tags are connected with a cord to the shirt, and not a plastic string. 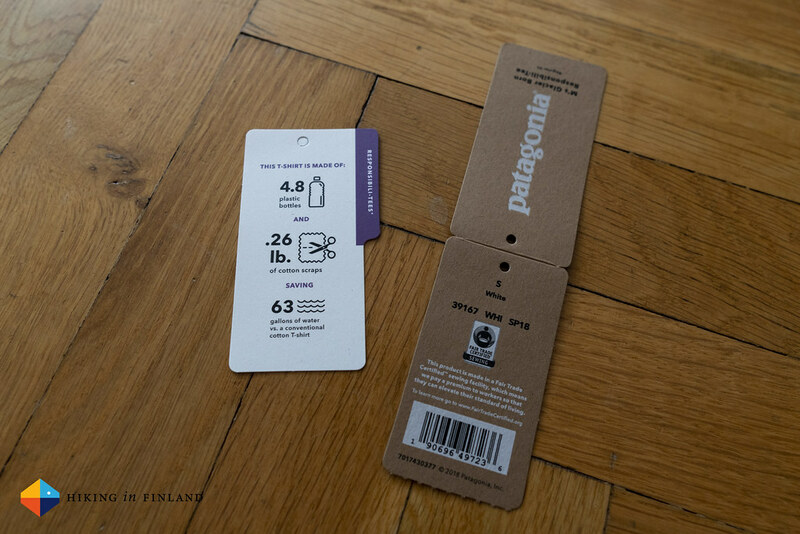 But if you compare that with the two each tags on the BD and Patagonia shirts it is more than double the tags, which is a bit overkill. But the illustrations are nice! 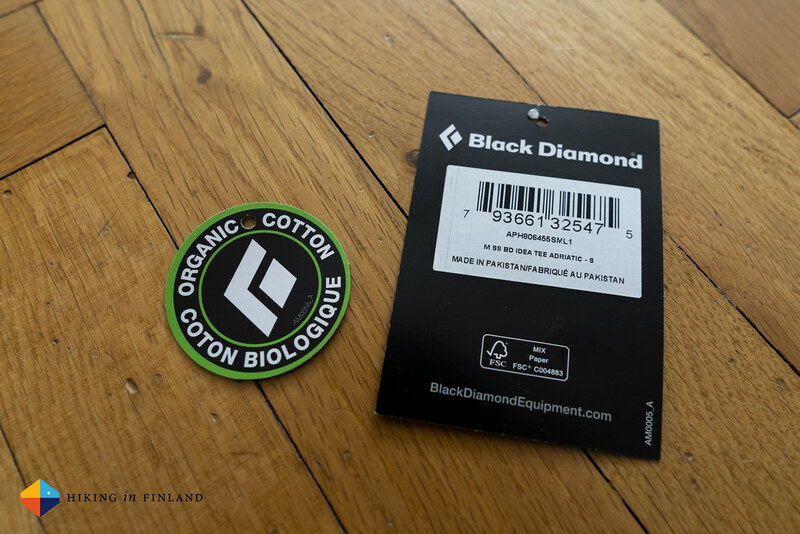 OK, next on are the Patagonia and Black Diamond T-Shirts. 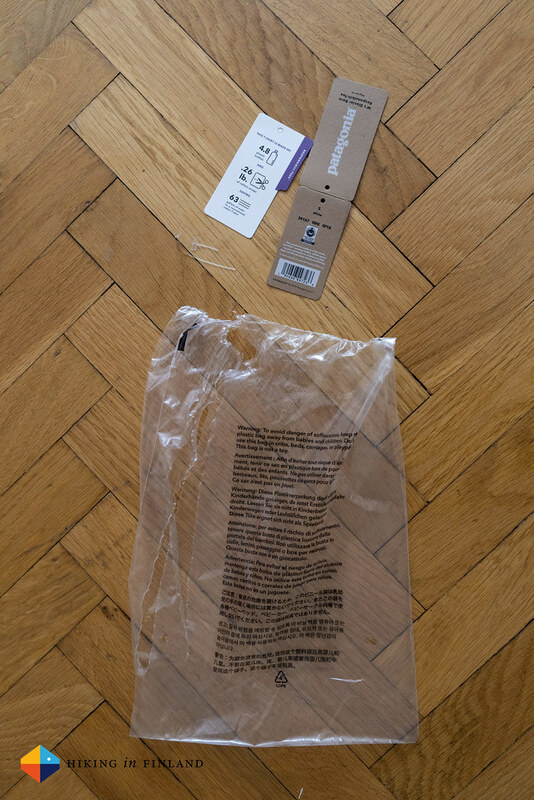 These come each in similarly small bags, with two hang tags each, connected via a plastic string to the shirts. In hindsight I should have put something for scale into these images, like my Hydroflask bottle or similar, to give you something to relate to. 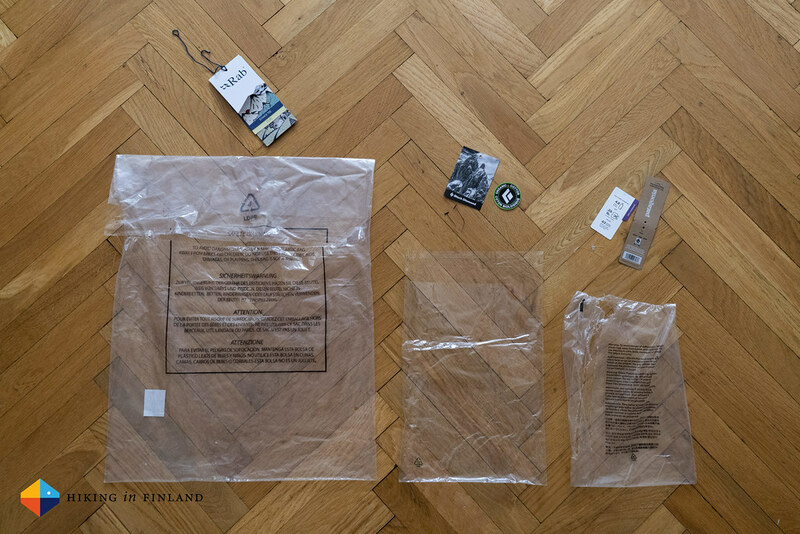 All together this was a serious amount of garbage (which I correctly disposed of so that it does not end up in the Baltic Sea or next to the street) and I was pretty disappointed to realize that with a simple purchase of three shirts I created such an amount of plastic garbage. So in a former life where I studied corporate environmental management and worked as a management consultant I also was studying a wee bit about sustainable packaging. For the companies reading here I recommend the book Designing Sustainable Packaging from Scott Boylston, or if you need a practical tip: The icebreaker Anatomica Boxers come in small cardboard boxes which do protect the boxershorts and are easy to recycle - and are obviously not made from plastic (We could have a discussion about the carbon footprint and whatnot that goes into the production of plastic bags versus cardboard boxes, but I don’t have the time to read several life-cycle analysis of these to come to a scientific conclusion. My common sense statement is that cardboard comes from trees, plastic from long dead dinosaurs. I prefer trees over dinosaurs. I rest my case 😂). The advantage of these cardboard boxes is two-fold: You also can get rid of the tags on the shirts and print all the stuff you want your customer to know on the box. Heck, you even could have cool prints and cut-out lines on the box to animate your customer to create some trees or mountains out of them (OK, I might be getting a bit carried away here.)! Thinking of it, several Merino wool baselayer brands do ship out their gear in these boxes, so what is good for a Merino baselayer shirt can’t be too bad for a organic cotton shirt, or?! I think the best thing we consumer can do is to make our favourite brands aware of this thing. 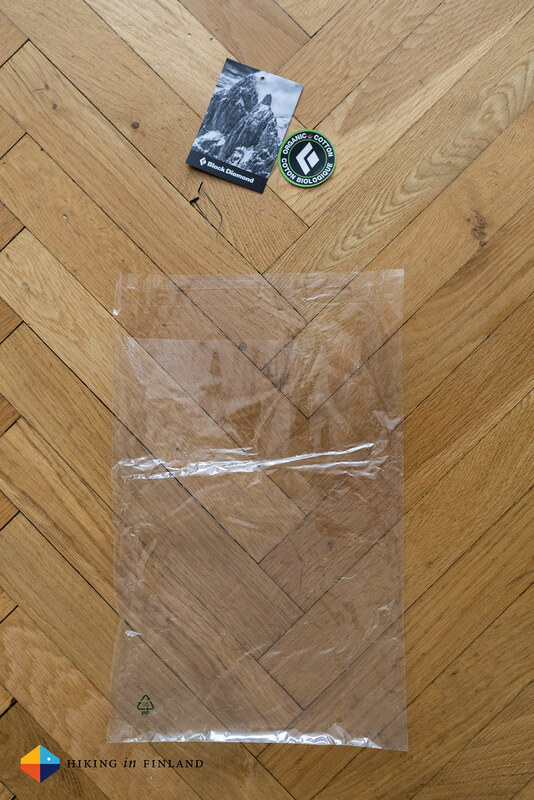 It’s one thing to say no to straws and lids when you buy your Frappucino or Milkshake, but it doesn’t help if you order three T-Shirts and they come wrapped in an obscene amount of plastic. 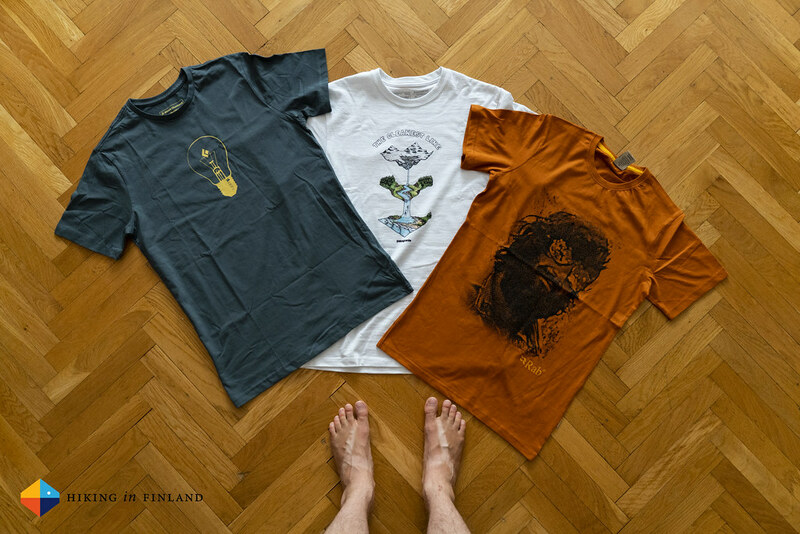 The first step is to check if you really need another T-Shirt, or if you (like me) have a tower of shirts in your closet and you should just rotate them so that you can wear the ones which were hidden at the bottom. Most of us have so much garments in our closets that we really don’t need any more shirts, pants or jackets. But when the need for something new arises, maybe do some research on how companies package their shirts and stuff (you now know about three companies already!) and maybe contact them to ask if they have plans to minimize the plastic their stuff comes wrapped in. Update: Some readers have made me aware of some great articles which I don’t want to withhold from you! There’s also a really good discussion going on on my Facebook page about this topic, so check that out and take part! 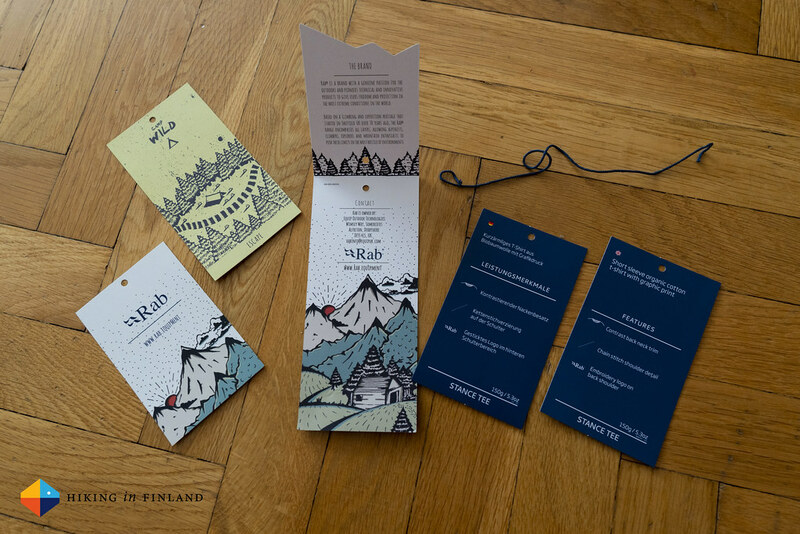 Update 2: Rab has reached out to me and said that they are aware of this issue and currently are reviewing their entrire packaging range, right down to tiny hanging hooks and string, so that everything is environmentally friendly. it’s a big undertaking and we should see these efforts from early 2019 onwards. PS: If you think that buying the shirt at the shop solves the problem - Äh, nope. The shop has unpacked your shirt, jacket and so on, so the waste gets created just one step earlier before it reaches you.